Traditional meets modern at Mountain Kim Martial Arts. We know how busy life can be - it's easy to forget how important your mental and physical health is, which is why Mountain Kim Martial Arts is here to help. 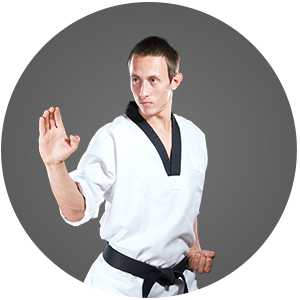 The Mountain Kim Martial Arts curriculum provides a great way for adults to stay in shape. It won’t become dull or routine because as soon as you get better and continue learning, there are always more challenges ahead to keep you inspired and coming back for more! The Mountain Kim Martial Arts Plan: To Help You Achieve Your Goals. 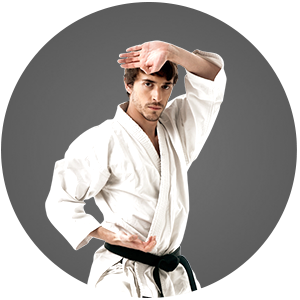 Mountain Kim Martial Arts teaches traditional martial arts in a modern fitness environment. The students in our programs experience a number of life-changing physical and mental benefits. Our facility is always clean and features a judgment-free zone, as well as matted floors throughout. Join the ultimate full body & mental workout with Mountain Kim Martial Arts. 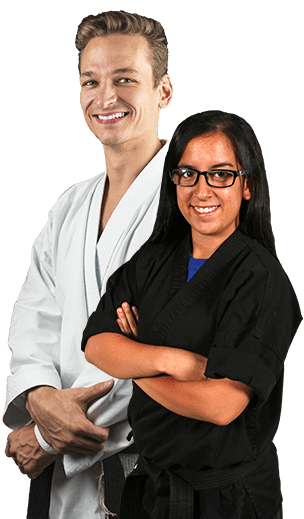 At Mountain Kim Martial Arts, it is our mission to help you become a confident, focused individual with the life-transforming experience that is martial arts. My experience at Mountain Kim has been life-changing. When I first started I hoped to be able to get in shape and learn some self-defense techniques. What I discovered after 2 years is that not only did I lose weight, get in shape, and learn self-defense – but I reached mental challenges that I never thought I would. I’m 46 years old and I’m able to do stuff I could only watch others do a few short years ago. Now I’m not watching, I’m doing. That is life changing. Having spent just shy of 22 years in the USMC, I know what it means to be part of a real TEAM or what it feels like to part of something recognizably good and special. So outside of the top-notch instruction, that is what drew me in. The reception I received when I first started was awesome and the great sense of TEAM I’ve seen and continue to feel as I progress through training/instruction has me still going today. The atmosphere of the instruction is fun but conducive to learning proper techniques. All the instructors are firm, fair, creative, talented, and effective. I’m currently participating in the Hapkido program but I have the opportunity to observe, from time to time, all ages participating in Judo and Taekwondo programs which are fun, exciting, and challenging with an emphasis on proper technique.